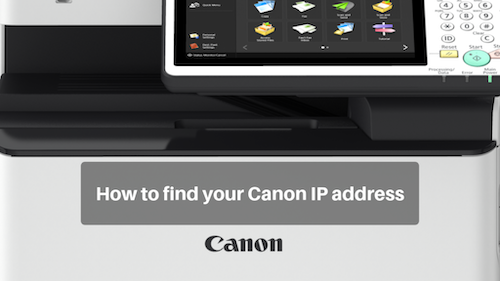 How to Find Your Canon IP address | Duplicating Systems Inc.
First Method of Finding your Canon’s IP Address. (This only applies to newer generation Canons). Locate a button on the side of your panel called “123”. It is also sometimes called “Counter Check”. It will be located somewhere on the panel or on the side of the panel. The Cannon’s IP address will be at the top right corner. It may also be located on the lower bar, as well.